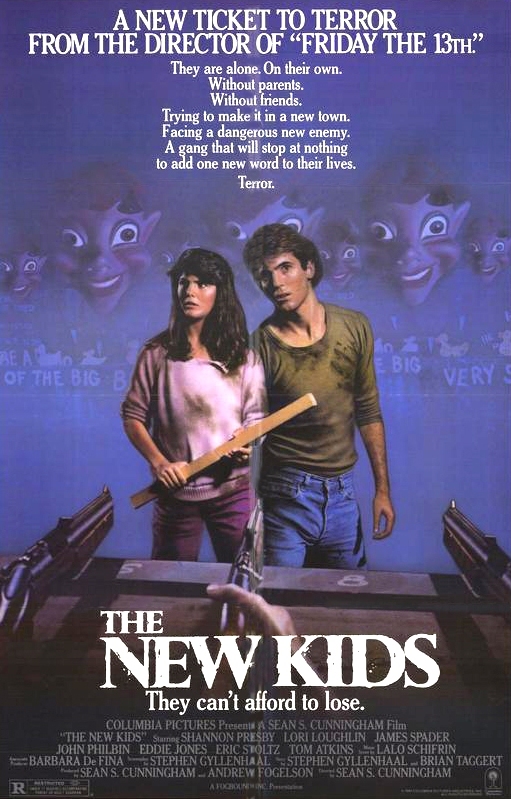 The New Kids (or Striking Back) is a thriller written by Stephen Gyllenhaal and Brian Taggert and directed by Sean S. Cunningham. Lori Loughlin and Shannon Pressby star as Abby and Loren Williams, a pair of teenagers who lose their parents and move to Florida to live with their aunt and uncle. James Spader plays the leader of a local band of bullies and Eric plays Mark, Abby’s friend at the new school. New Kids opened in January 1985 and was released on DVD in October 2005.